Named for its long humerus bone, this well known, enormous sauropod had an almost giraffe-like posture due to its high neck, unusually long front legs and shorter hind limbs. 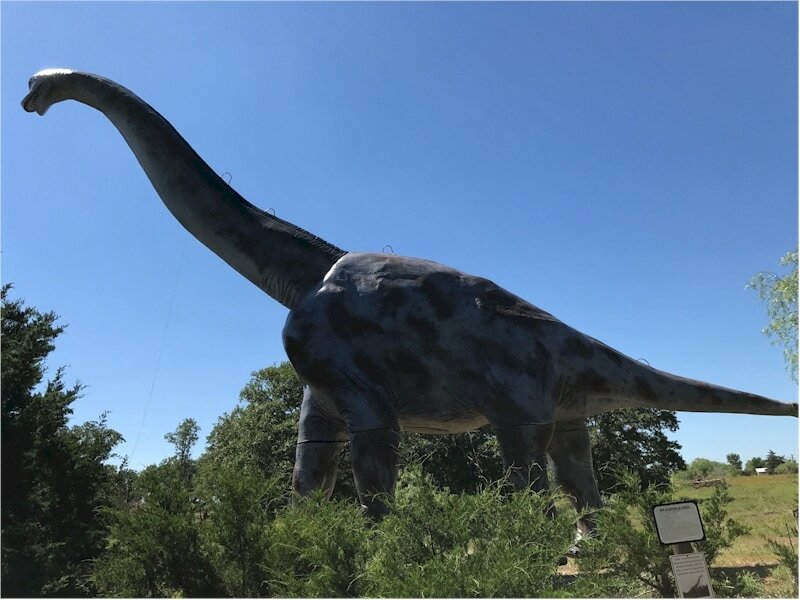 Named and defined by Elmer S. Riggs in 1903, based on a near complete fossil skeleton, Brachiosaurus is among the rarest of all large, plant eating sauropods. First collected in 1900 near Fruita, Colorado, more information about Brachiosaurus became known after scientists found other specimens in Tanzania, Africa. Nostrils on top of the skull have at various times been thought to be snorkels, spaces that amplified sound or enhanced the sense of smell, or even helped to cool the Brachiosaurus’ skull in times of extreme heat. Brachiosaurus wasn’t a swift runner, but it could easily access its leafy food from the high forest canopies of the late Jurassic.